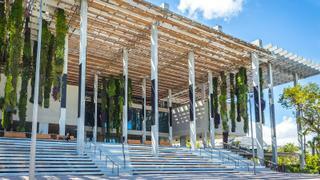 The Pérez Art Museum Miami, the city’s flagship art gallery. Image courtesy of Shutterstock. 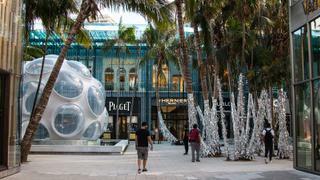 The Design District offers style and shopping. Image courtesy of Shutterstock. 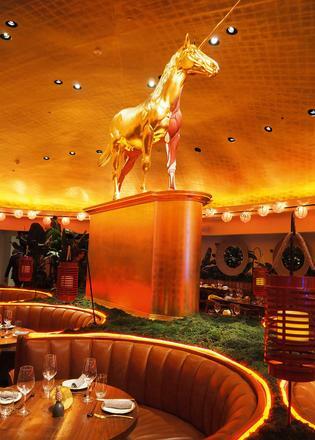 It was not until 2002 that Miami’s seedy, neon-hued image started to change. That year, the remnants of the city’s tropical 1990s resort-slash-gangster’s-paradise style inherited from films and television dramas began to fade, thanks to a wealth of factors – including Art Basel. Looking to attract thousands of warm-weather art aficionados, the Swiss organisers decided to take the fair to a place where the sun shines strong throughout December. Today, a new wave of cultural influencers have set up shop here, changing the city’s character from within. Whole areas – such as Wynwood, the Design District and the up-and-coming Little River, Little Haiti and El Portal – have seen a resurgence. Galleries have taken over what used to be derelict warehouses and helped to gentrify neighbourhoods once deemed no-go areas. Not only has this new art movement empowered communities and pushed creative boundaries, it has also gathered culture vultures from the world over who have decided to live in a city where winter never arrives. One of them is Ximena Caminos, who arrived in Miami from Argentina in 2014 to launch the Faena District (a $1 billion investment that includes two hotels, private residences, an event forum and a “starchitect”–designed car park) and head its non-profit, Faena Art. As creative director, she was responsible for the hotel’s look and feel, as well as its cultural programming and event roll-out. Since her arrival in Florida, Caminos has made a big splash, organising and hosting events such as the Biennale of Moving Images and a districtwide carnival led by curator Claire Tancons and artist Antoni Miralda. Caminos’s objective was to build bridges between the existing Faena space in Buenos Aires and the one in Miami, always including the community and making events free and open to the public. In just a few years, she turned Miami’s cultural landscape into her playground. “I use art as a tool to do, see, feel, communicate, connect and transform,” she continues. “The city is thriving; everything is evolving at a pace that amazes me. It is awake and hungry for high-quality culture, places like the Bass museum, Pérez Art Museum, Dot Fiftyone Gallery and Locust Projects….” This year, Caminos left Faena to launch her own creative agency, Honey Labs. Caminos’s most daring undertaking to date, however, will launch in conjunction with Art Basel. 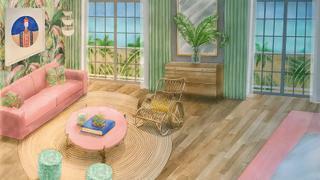 Part hotel, part cultural institution, located at the old Savoy Hotel, the Blue Heron Ocean Society is set to become the new Miami hotspot for the well-travelled intelligentsia and bon vivants to connect. The project is a collaboration between Caminos (who will curate a rotating exhibition programme) and real estate mogul Eric Hadar, CEO and chairman of Allied Partners. The complex will include a resort, a spa and a restaurant by Chilean restaurateur Juan Santa Cruz (of Casa Cruz fame). For the launch, Caminos is organising an artistic takeover of the property with artists that contribute “radical thinking, excellence in execution and non-transactional, participatory works, such as Michael Lin, Manuel Ameztoy and Leandro Erlich.” A percentage of the profits from this endeavour will go to the Miami Beach Ocean Preservation Society, a non-profit dedicated to tackling pollution and rising tides in the low-lying city. Just six months into his role, Pace has set himself the goal of creating an arts organisation that’s free and populated with the most innovative art of the time, with a curatorial programme focused on promoting the work of the most relevant emerging and under-represented artists working today. “As much as it is a significant challenge, I see artists playing a huge role in shaping dialogue around issues affecting our environment and political processes – and South Florida is at centre stage of many of those debates,” says Pace. While the weather patterns keep changing around the globe and the topographic fortune of Miami remains unknown, there’s a positive outlook regarding the city’s cultural development. The ocean’s rising tides might not be so apparent, but it’s evident the local art scene is making strong ripples – and whether you’re an artist, gallery owner or collector, now is the time to surf those waves.